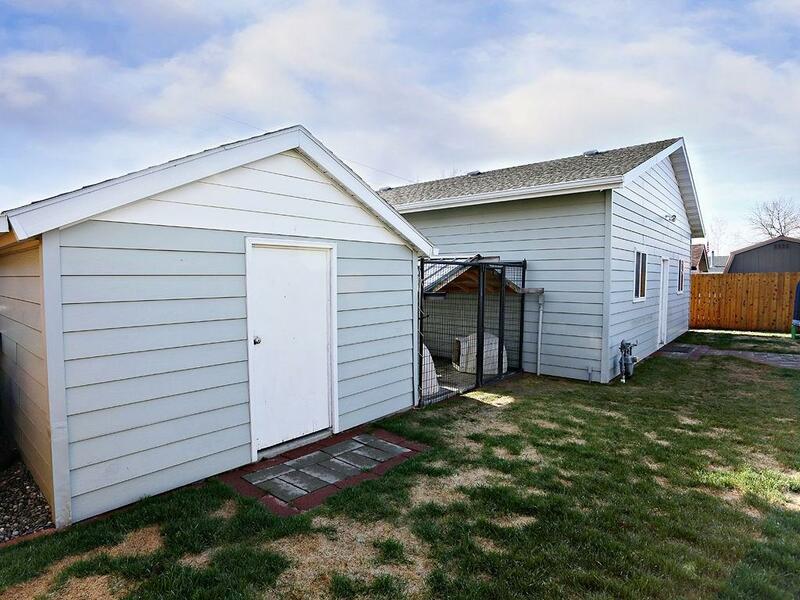 Updated home ready to move in! 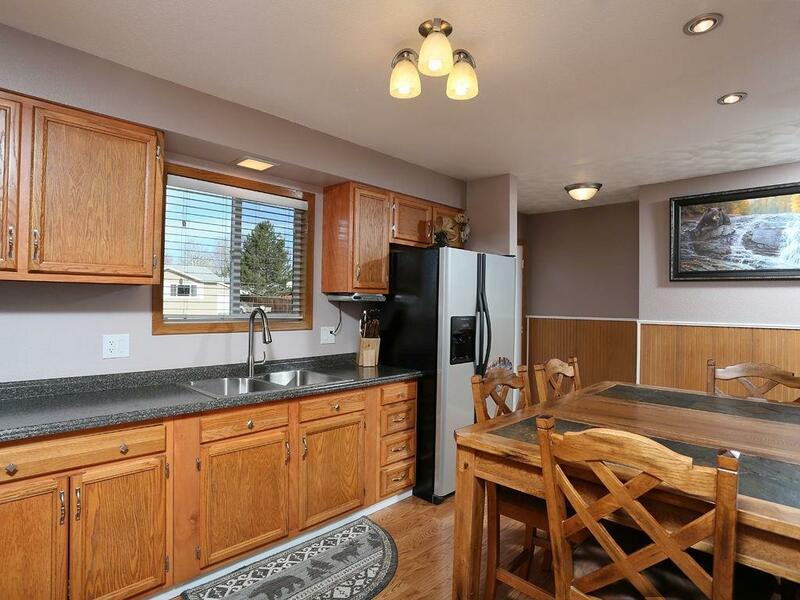 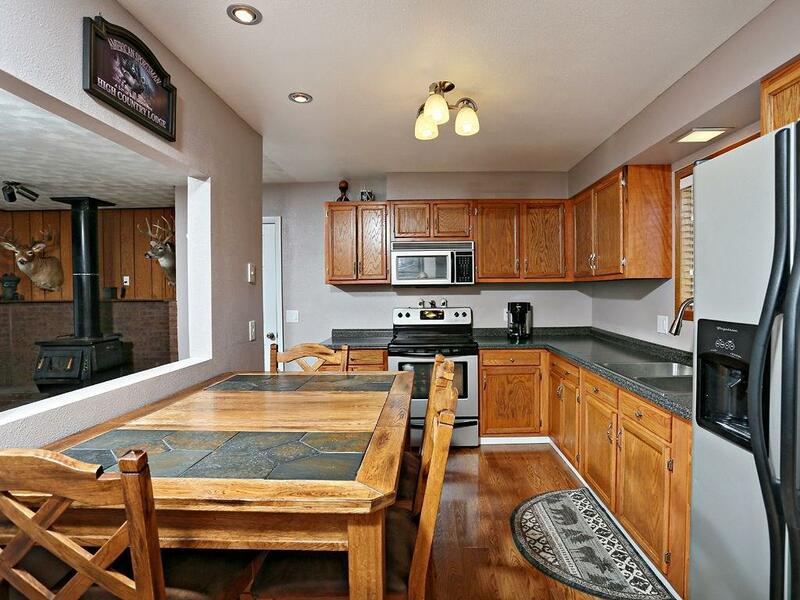 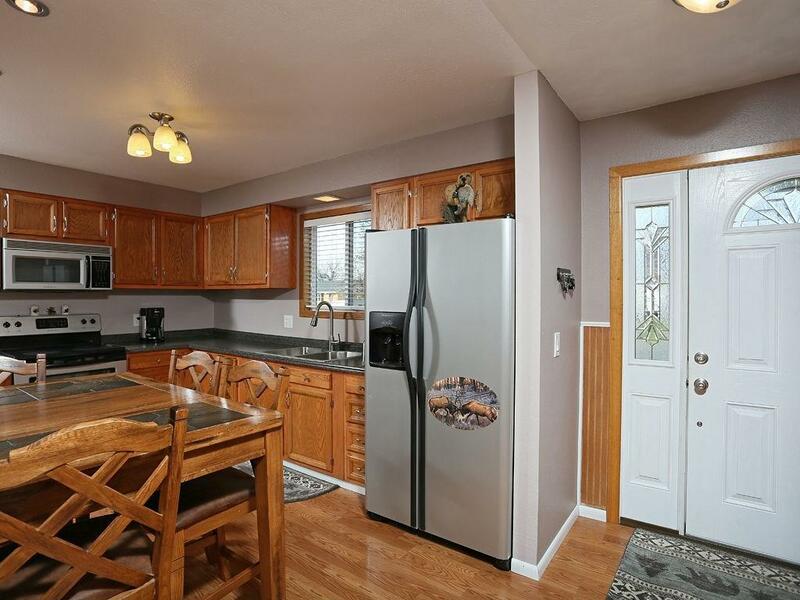 Kitchen/dining combo that opens to a spacious living room with wood stove. 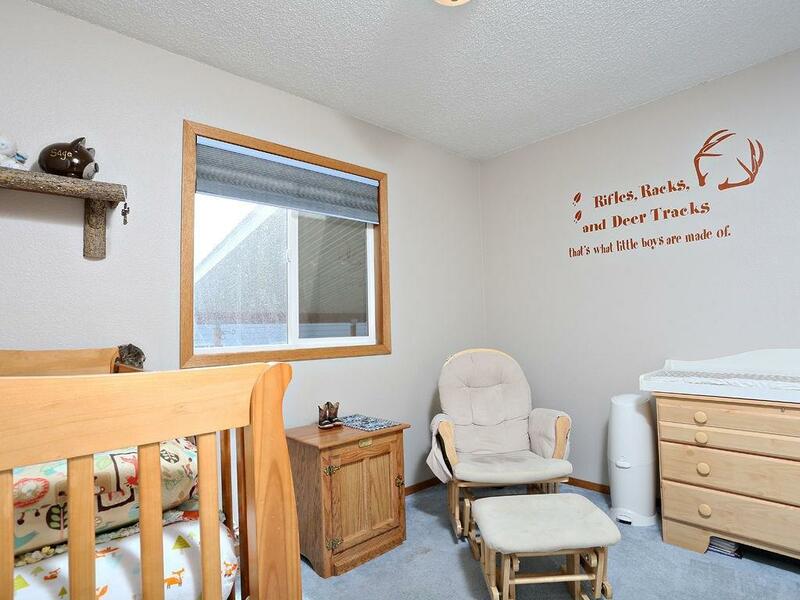 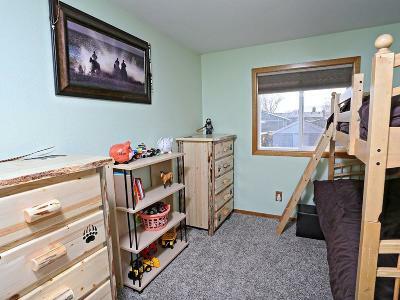 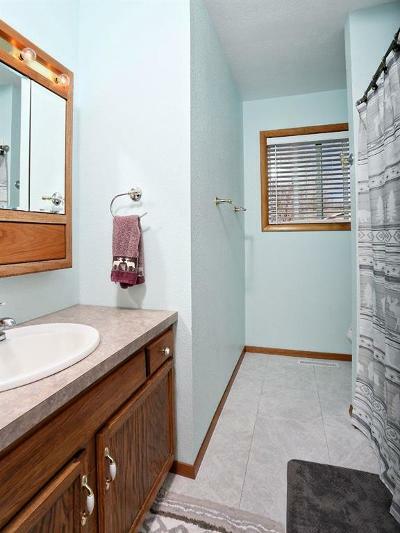 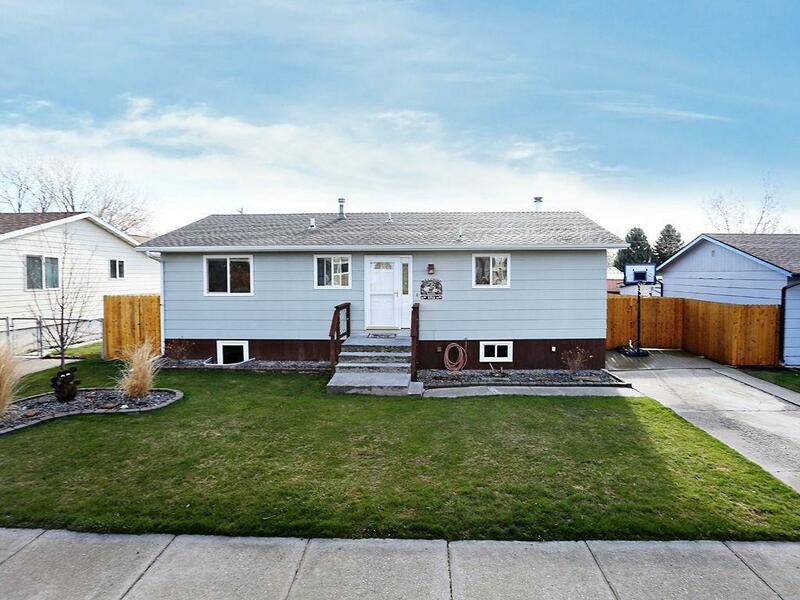 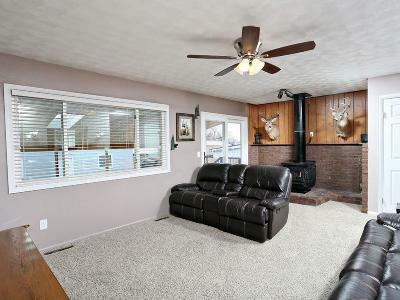 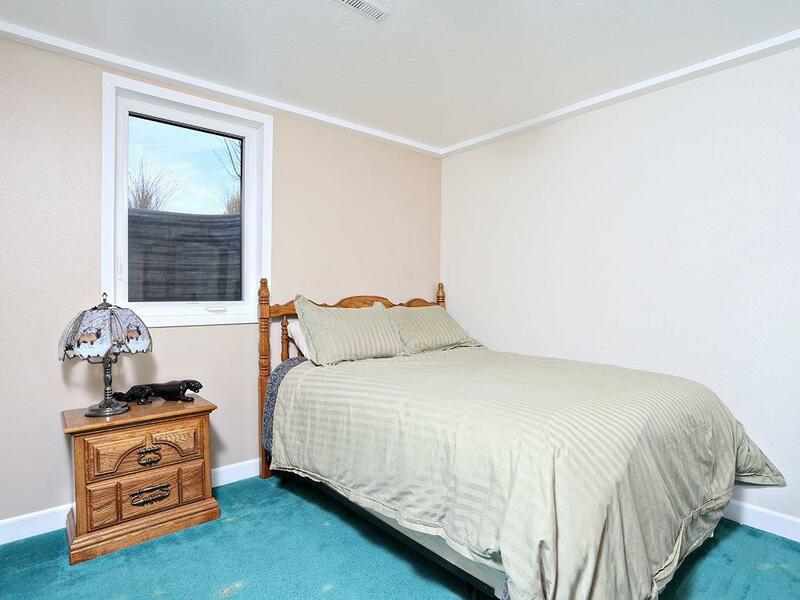 3 bedrooms on the main with 2 more egress bedrooms in the basement along with a large family room. 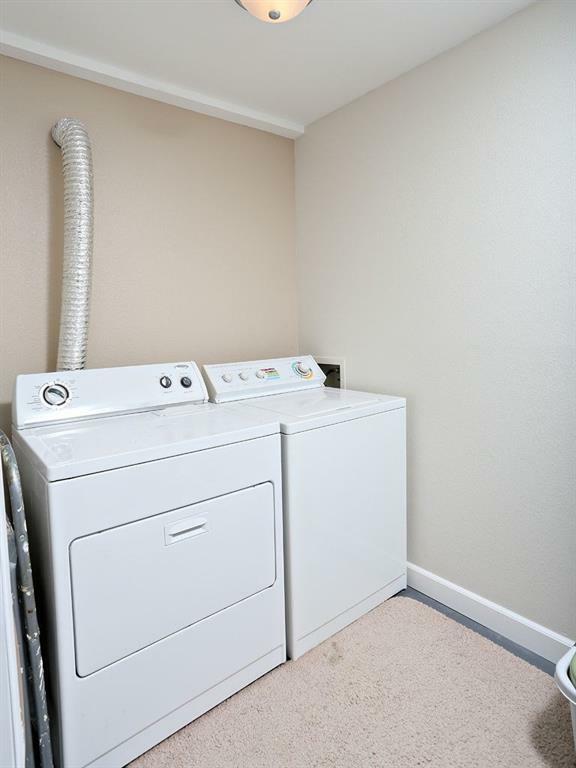 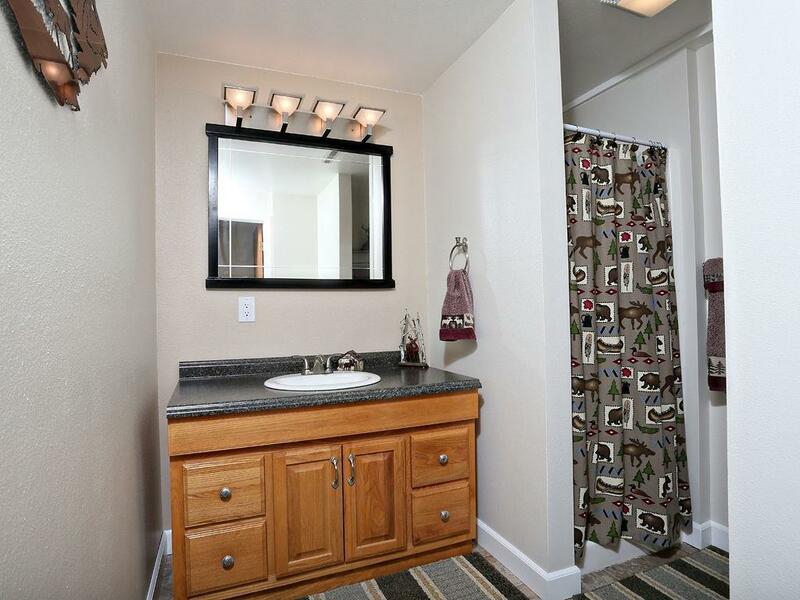 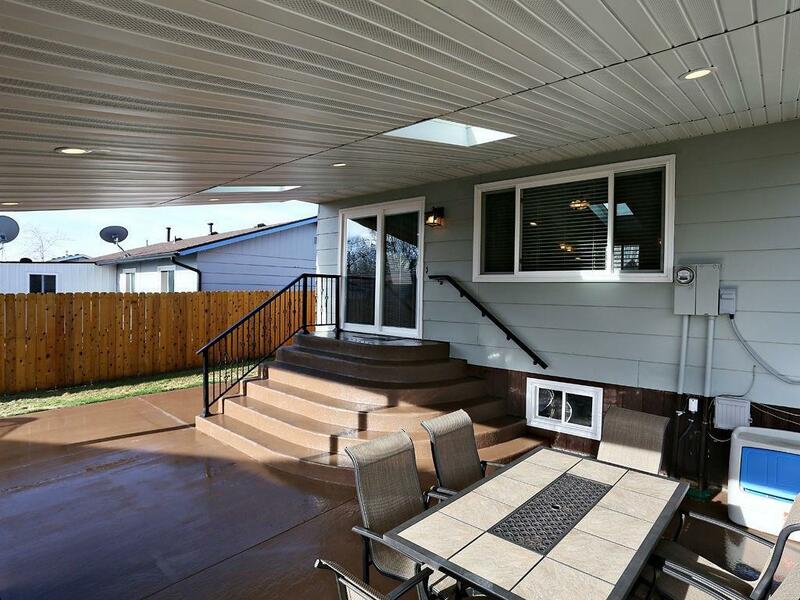 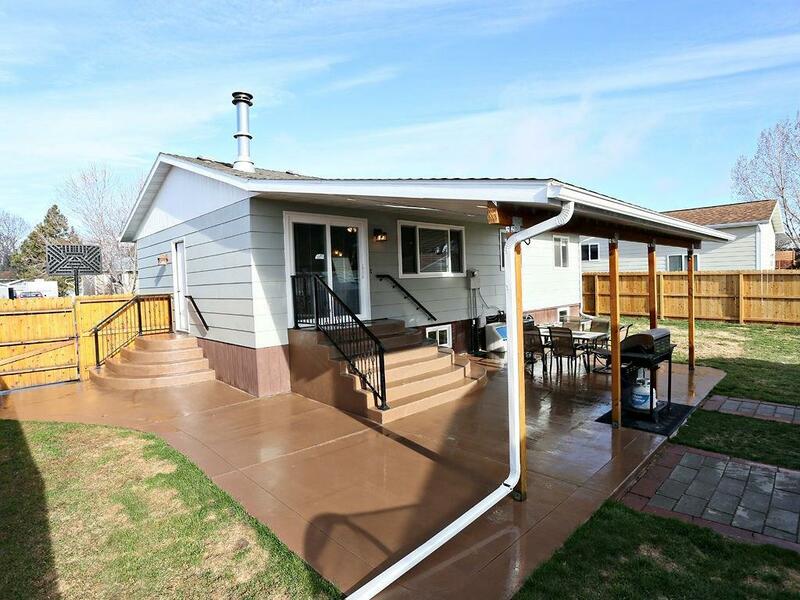 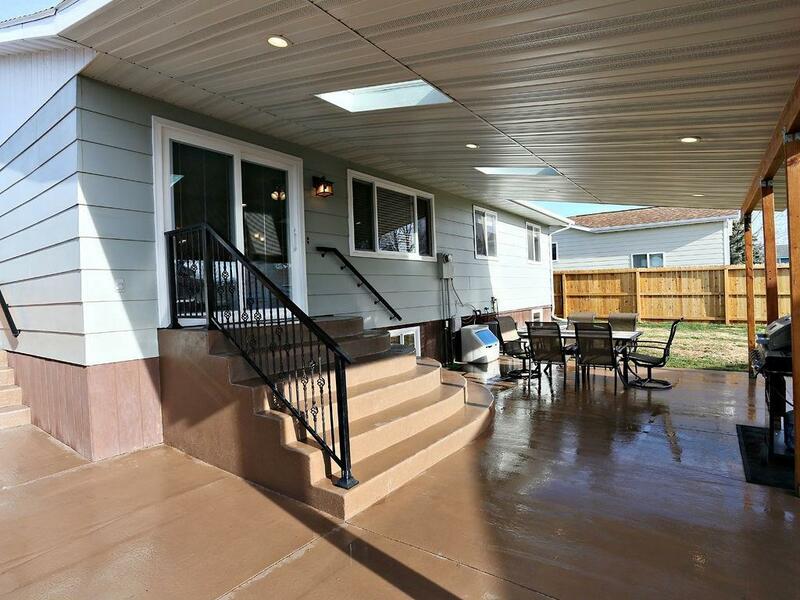 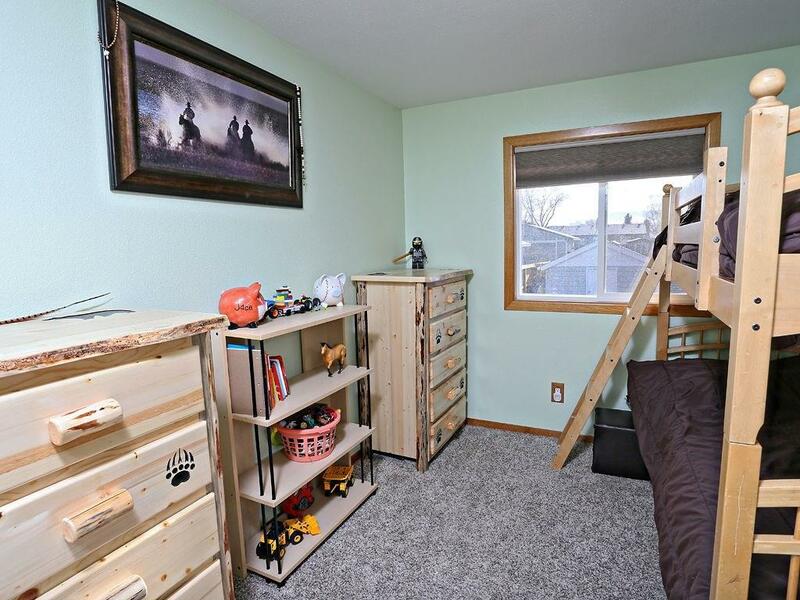 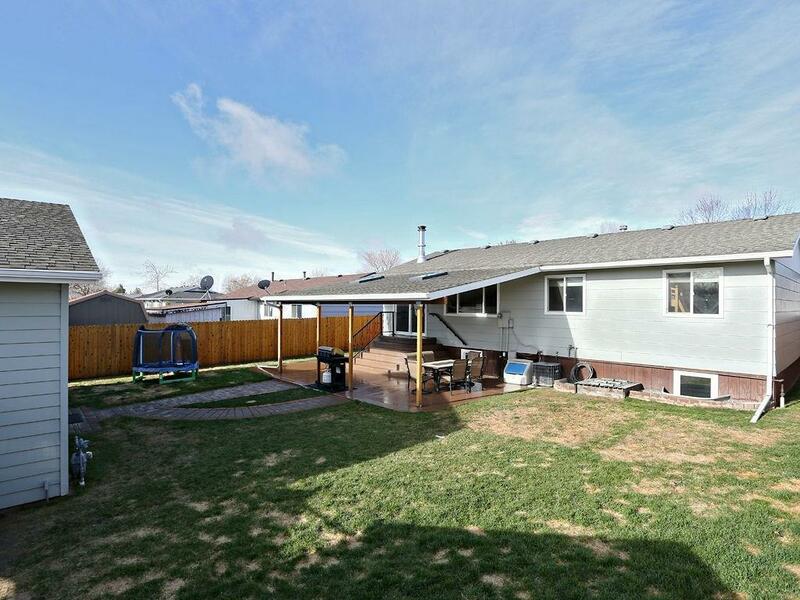 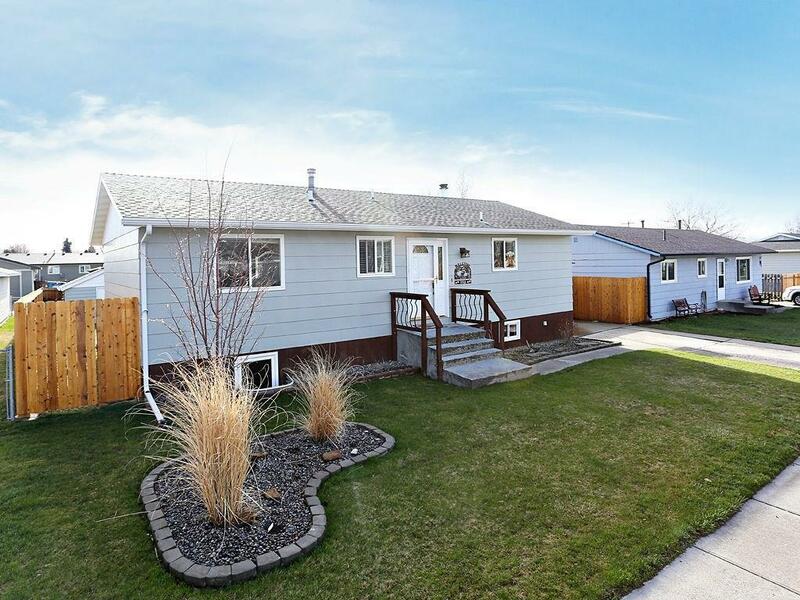 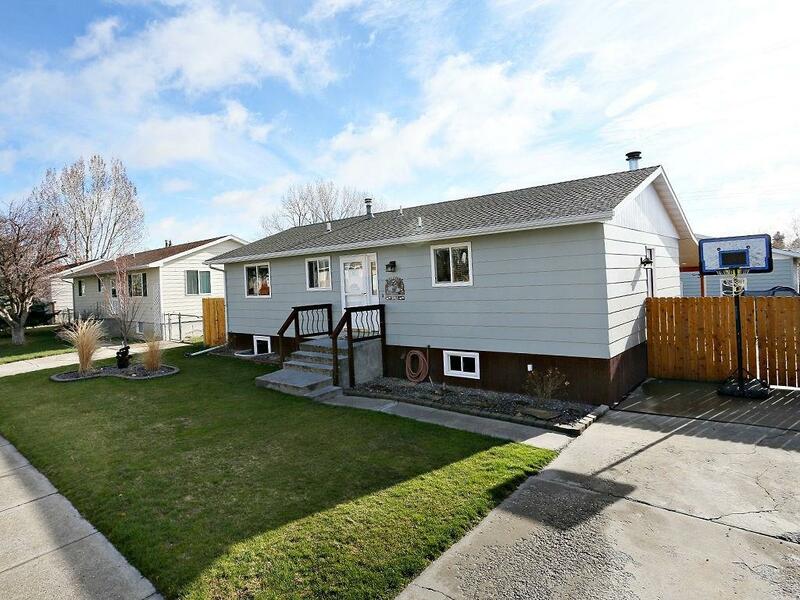 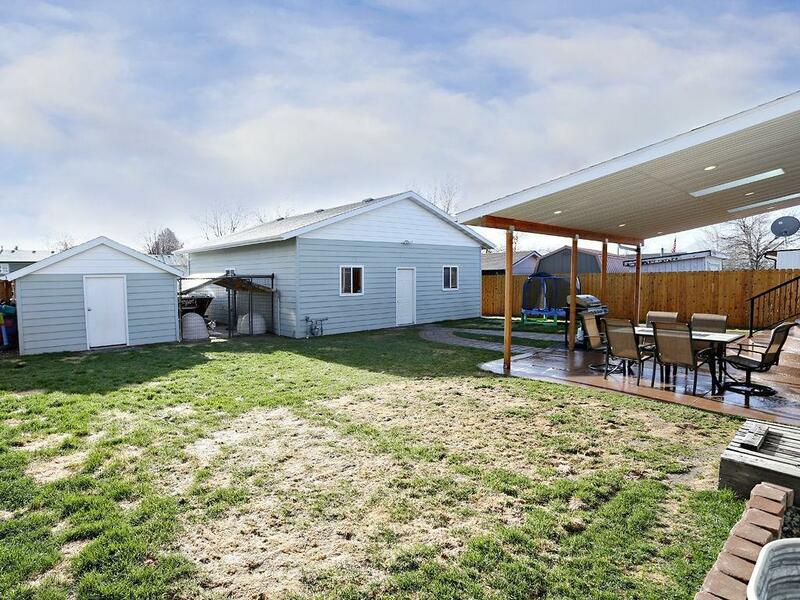 Private fenced yard with underground sprinklers, shed and a large covered patio with skylight & recessed lights. 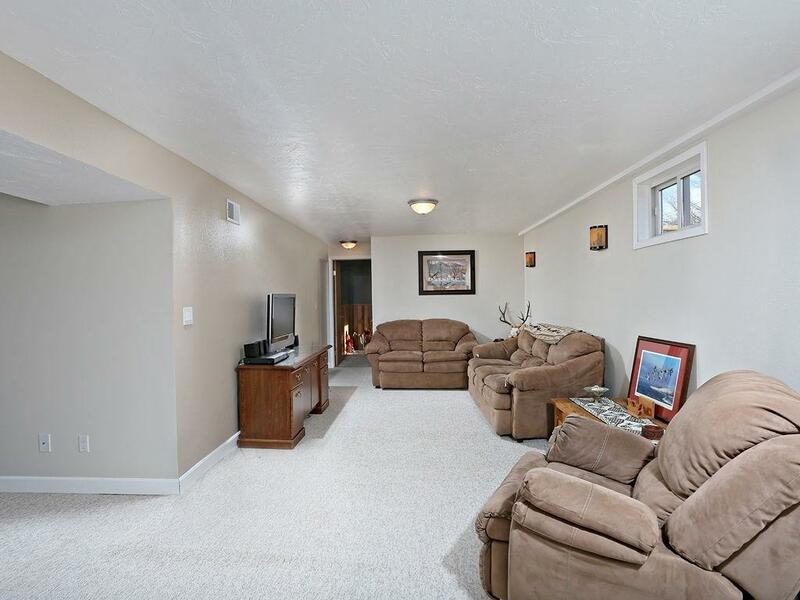 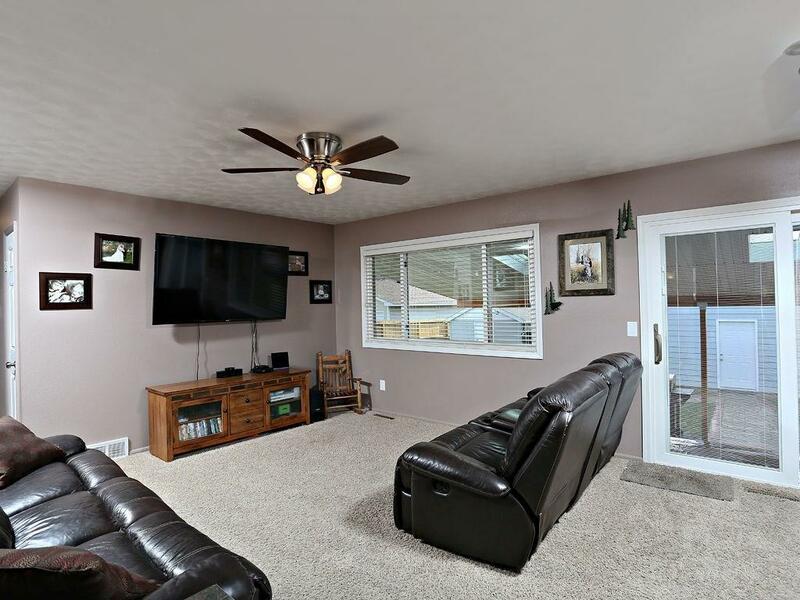 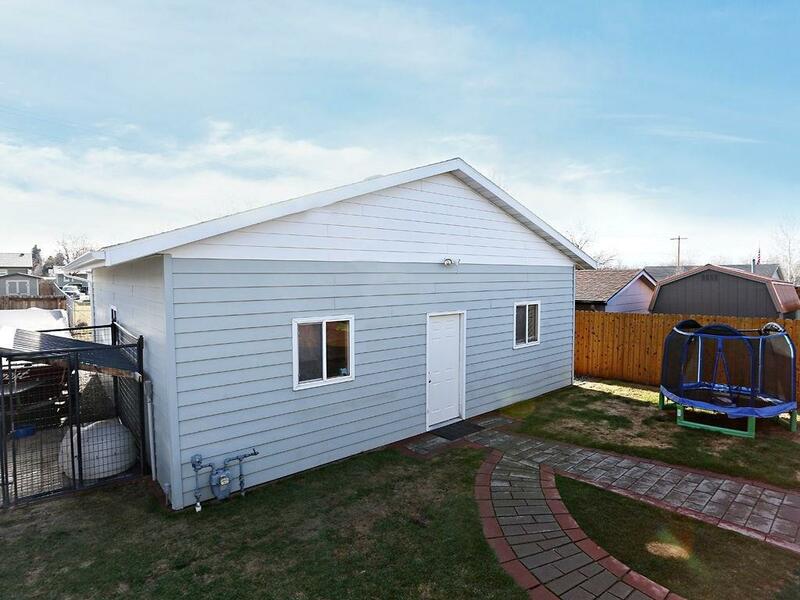 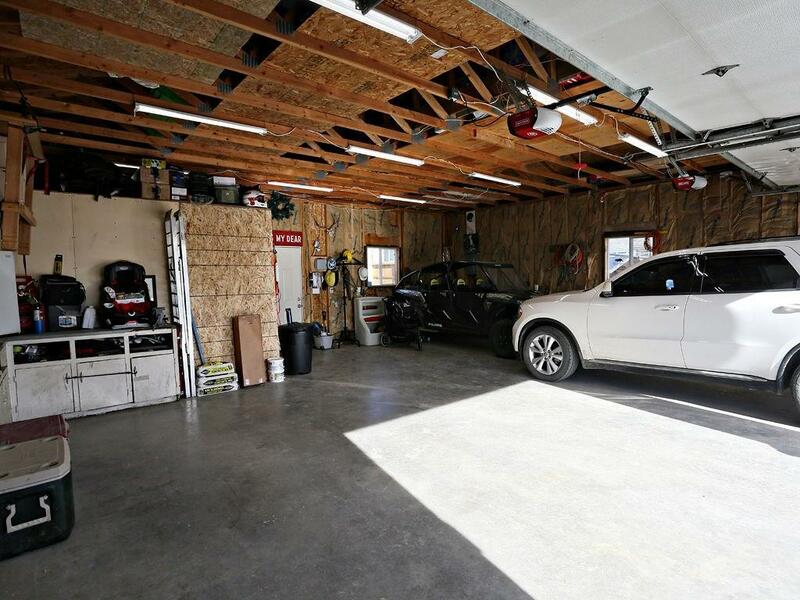 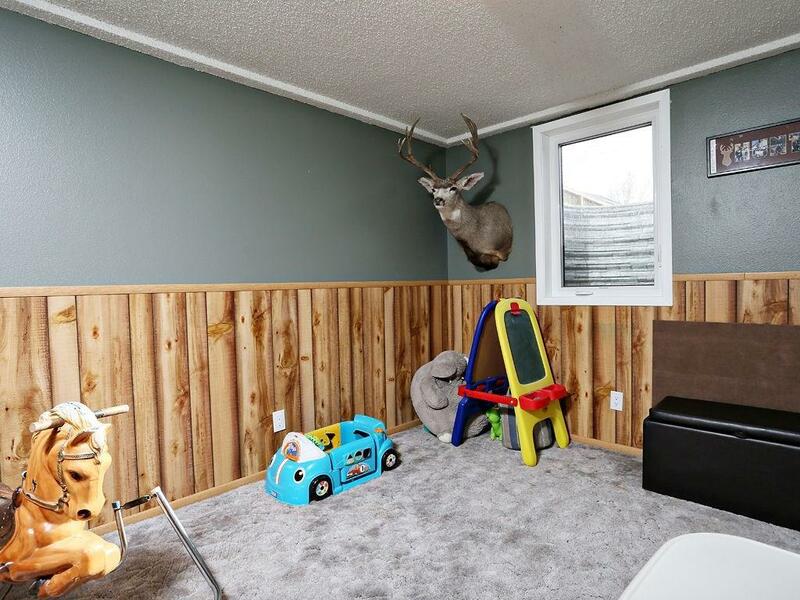 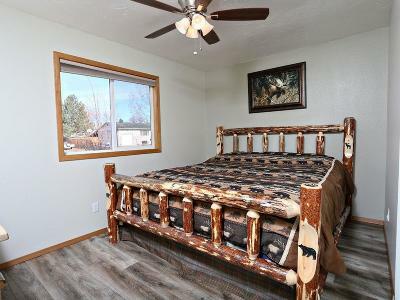 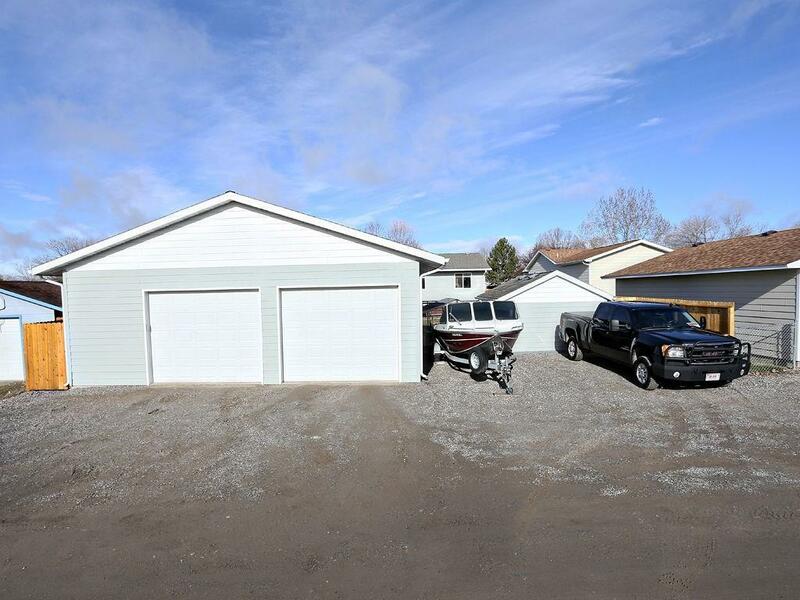 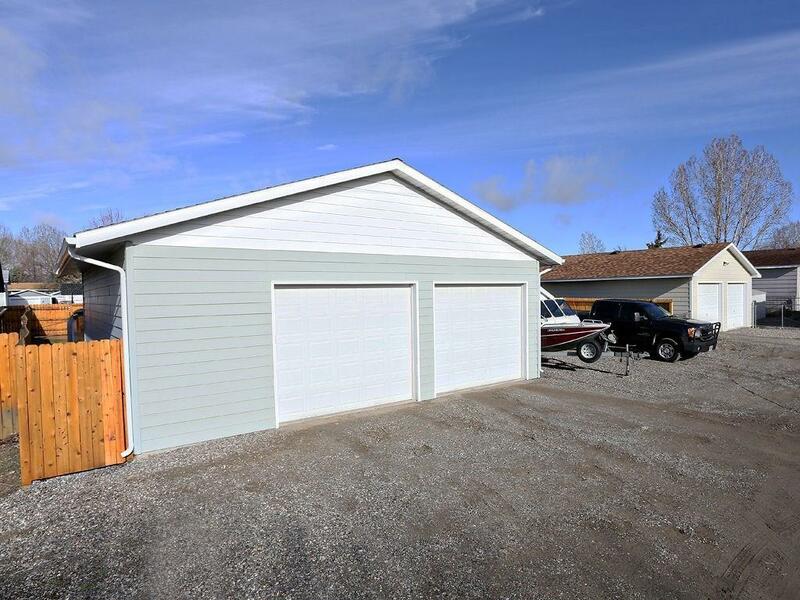 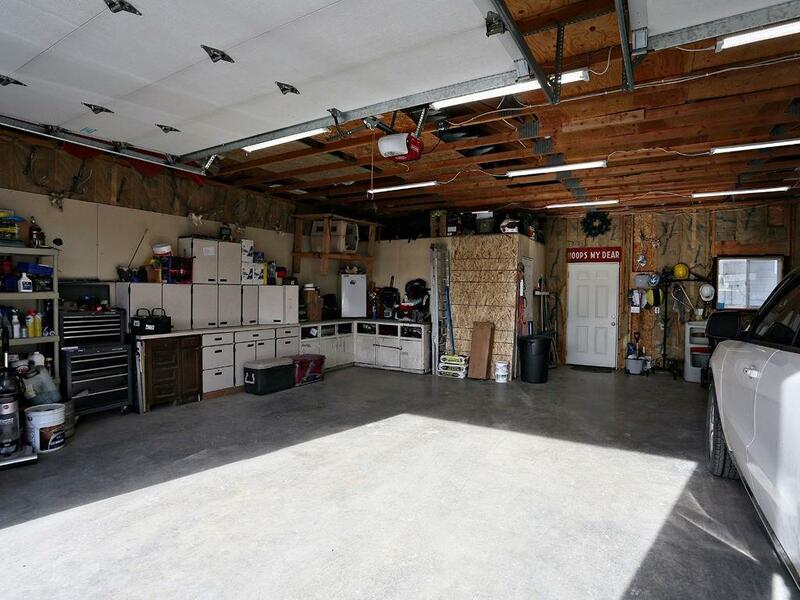 Huge oversized 2-car garage plus additional parking in the front and back perfect for recreation vehicles!